Bob Panko is the heart and soul of Risky Business Incident Management. Bob Panko and ICS grew up together! In 1982 at virtually the same NIMS was adopted, Park Ranger Bob Panko (as part of a progressive thinking team of National Park Service Rangers) began using ICS in managing their emergency incidents at Shenandoah National Park. Since there was no training yet available to them, they just started using the system and figuring it out as they went along! But it was a start! Bob first started teaching ICS in 1985, teaching the original ICS course known as I220. He instructed that course for Law Enforcement, emergency services and wildfire personnel and USNPS Rangers in various USNPS units in the Eastern US. Bob was the Assistant Chief Ranger at the Statue of Liberty/Ellis Island Natl Monuments in the mid 1980's, the years the Statue Ellis Island were under major renovation. There were special events and photo shoots on Liberty Island several times per week during those years; some with highest level elected officials and notable figures. All were managed using ICS, which gave Bob a tremendous amount of practical ICS experience. In 1995 after a decade of teaching that ICS220 course, Bob attended a ICS100 through ICS402 Train the Trainer course in Atlanta. For the next few years Bob was teaching multiple ICS300 courses for the SE Region of the USNPS. Bob was the Initial Action IC for Everglades NP for Hurricane Andrew in 1992. As a result of the huge damage and impacts to the south Florida Natl Parks, the NPS All Hazard IMT1 (Commander Gale) was assigned after the storm and Bob worked closely with this Team. In 1993 USNPS formed two All Hazard IMT2's for the SE Region of NPS, and following the advice of Commander Gale, Bob Panko was appointed as one of the two Incident Commanders. Bob commanded that team for mulitiple hurricane, flood and special events responses over the course of ten years. In 2004 Bob was a member of the joint National Wildfire Coordinating Group/US Dept. of Homeland Security cadre that updated and re-wrote the ICS-300, ICS-400 and ICS-402 courses that are the official curriculum presently being instructed nationwide. He was selected for that committee (originally organized by NWCG) for the very fact that he had deep experience in both worlds of All Hazard and Wildfire. He has been teaching that curriculum now for 20 years all over the country. Bob Panko was an ICS practionier who learned to use the system at the field level in All Hazard situations, grew into ICS Supervisory levels over decades of experience, and then went on to use ICS on huge wildfires and other incidents as part of national and regional interagency Type 1 & 2 teams organized and managed under NWCG. So Bob has had the best of both worlds of All Hazard and Wildfire! Currently is on the DHS/FEMA national list of instructors certified to teach the new All Hazard Position Specific "L Courses" (certified as Lead Instructor for Incident Commander, Operations Section Chief, Division/Group Supervisor and Liaison Officer courses). He is also qualified to teach a wide range of NWCG courses for fire and incident management. Bob is fully qualified in the federal interagency incident qualifications system as Incident Commander Type 2 and Operations Section Chief Type 2. Bob was the Deputy Incident Commander of the Southern Area Type 2 IMT from 2007 through 2010. From 2011-2013 he was Liaison Officer on the Southern Area Type 1 Red Team. In 2014/2015 Bob was Liaison Officer / Operations SC on the SA Gold Team(IMT2). Starting in 2016 Bob became an Operations SC on the NY State IMT2, and is also rostered as a Deputy IC when the need arises. Bob has instructed ICS, wildland fire and emergency management courses at the National Advanced Fire and Resource Institute (NAFRI-Tucson), the National Conservation Training Center (NCTC-Shepherdstown), the Prescribed Fire Training Center (PFTC-Tallahassee), the Federal Law Enforcement Training Center (FLETC-Brunswick), the NY State Preparedness Training Center (Oriskany) and the NY Wildland Fire & Incident Management Academy and at many other locations. He has instructed over three decades for the National Park Service, US Forest Service and the NY State Office of Emergency Management. Bob retired from over 30 years of federal service in Nov 2007. During his career Bob was a National Park Ranger / Supv Park Ranger who was a fully commissioned federal law enforcement officer. He was also certified as a Park Medic, a team leader in search and rescue, trained in structural fire suppression and performed law enforcement and emergency services in all environments from inner city to wilderness. 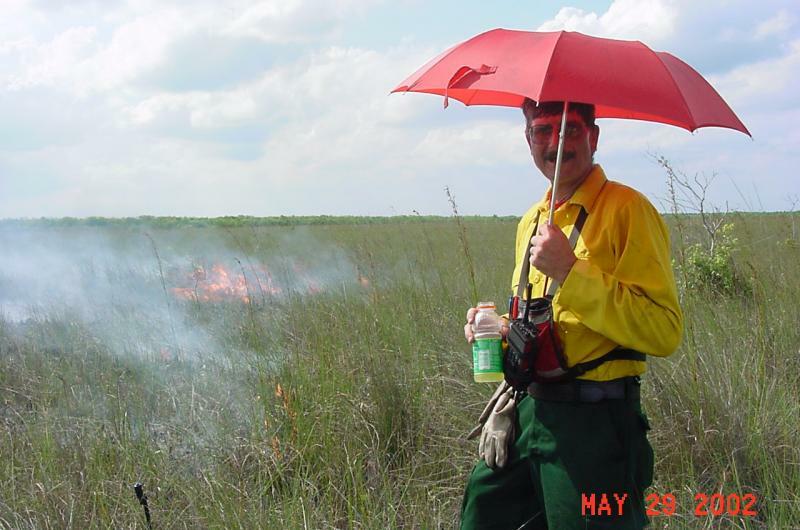 Bob concluded the last 11 years of his federal career as the Fire and Aviation Management Officer in Everglades National Park. As such he managed a large wildland fire program that conducted 15,000 to 30,000 acres of prescribed burning annually, suppressed 40-60 fires per year and managed 5-20 wildland fire use fires per year. Using the ICS planning process to manage emergency incidents and events doesn't need to be confusing. Neither should it be confusing or onerous to update your existing emergency plans into ICS friendly formats. Allow us to coach you and your staff through these processes using a simple, hands on approach. Operations Section Chief T2, Southern Area Gold Team 2015. Experience in wildland fire and all hazard incident management from southern California north to Washington state east to New York and south to the Virgin Islands with most places in between. Extensive Florida fire & hurricane experience. Copyright 2009 Risky Business Incident Management LLC. All rights reserved.